Good first degree in Accounting or Economics with ICAN certification. Must possess 2 to 3 years post ICAN experience preferably in a fast-paced, well structured environment. Should have a pleasant disposition, a team spirit with a proven ability to deliver results on time. Ability to compile and analyze financial information to prepare reports and make entries to accounts, such as general ledger accounts. Knowledge of accounting software preferably ERP – Microsoft Navision, Dynamic is an added advantage. Should not be more than 30 years at last birthday. Proficient computer and keyboard skills and the ability to use Microsoft Office (Word, Excel, and PowerPoint) are required skills. Reporting to the GM Operations, the Project Manager will lead the project team covering planning and coordination, scheduling, financial and cost management, contract administration and customer communications, deliverables and relationships of assigned projects. Relevant multi – domain experience in segments like Refinery & Petrochemical, Oil & Gas. Overall Experience (10-15 Years) in an Industrial Automation Field & 3-5 years working Experience as a Project manager in DCS field. Reporting to the Deputy Country Manager PMD, this role is responsible for the management of the sales of the PMD services (workshops), leading the service sales team, providing technical support in designing solutions to fulfill clients’ needs and for providing guidance on quotations and contracts. Develop and maintain a strong network with key individuals within the customer’s production/ maintenance/ operations/ L&D/ asset management organizations and leverage to anticipate customer’s needs as well as accurately forecast sales on a monthly, quarterly and annual basis. Carry out any other Business Development activity that may be required by AOS Orwell vis-à-vis the client. 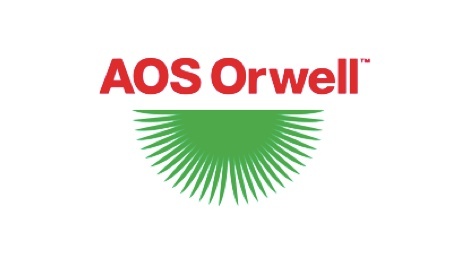 Alignment of initiatives between the Client and AOS Orwell by imbibing and transferring relevant aspects of Client’s QHSE and other systems into AOS Orwell. Technical Bachelor’s Degree from an accredited university. Minimum of 10-12 years relevant experience in technical sales in the Oil & Gas industry. Must have vast experience in business development of indigenous mechanical & electrical workshops. Willingness and ability to travel 60% time across Nigeria. Must be a self-starter who is driven to completion of sales orders and project execution Demonstrated experience managing a team of engineers/technicians in fast paced environment. Proven leadership in an international project environment. Extensive knowledge in the field of Industrial Automation with knowledge of Oil and Gas Industry. Should have hands-on proven experience in process plant/workshop mechanical/electrical equipment QA/QC, HSE procedures such as NDE, ITP, Fabrication /Maintenance (WPS), PWHT etc. Achieves continuous improvement by proactively assessing company’s working relationship, practices and methods. Reporting to the Workshop Sales Service Manager, this person is responsible for the management of the sales of the valve shop, driving interaction with clients on AOSO’s capabilities and providing guidance on quotations and contracts. Technical Bachelor’s degree from an accredited university. Must be a self-starter who is driven to completion of sales orders and project execution. Working knowledge of Valve repairs.